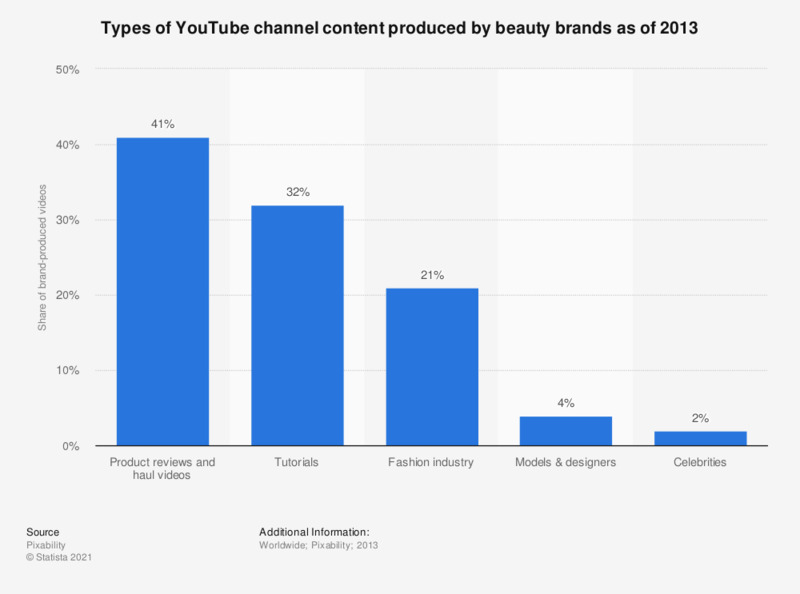 This statistic illustrates the types of content produced by beauty brands for their YouTube channels as of 2013. It was found that 32 percent of content on beauty brand channels were through tutorial videos. Models and designers represented with four percent of content uploads.